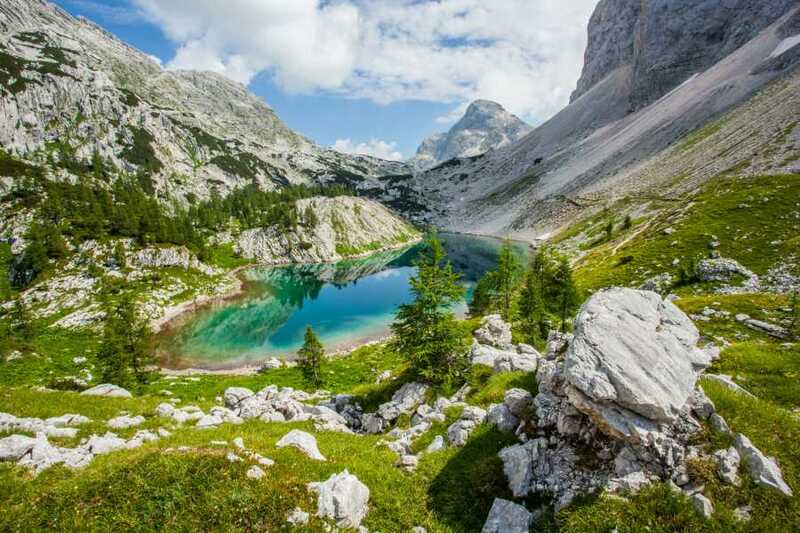 Triglav National Park, is the largest National Park in Slovenia, in the heart of the Julian Alps, with the highest Slovenian peak, the mt. Triglav...we are used to say that this is the place where "beauty takes your breath away" summer cuts a fertile pathway of green in the valleys of Slovenia, the contrast couldn’t be greater in the Julian Alps inviting mountain bike enthusiasts to ride a vast network of trails against this spectacular backdrop. Descending into the valleys, traditional alpine towns, including the lakeside town of Bled, offer the perfect setting for relaxation. 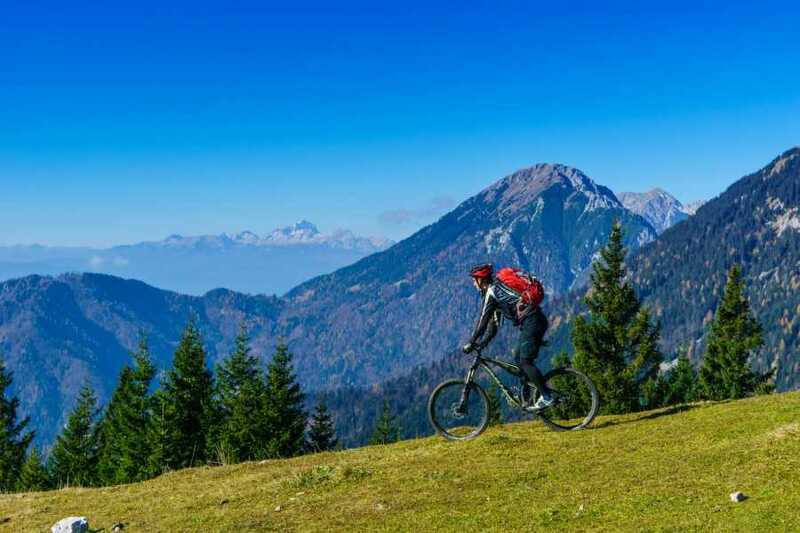 From steep climbs and high passes to single tracks that carve their way down the mountainside, this trip encompasses the thrills, beauty, and wonder of mountain biking in this unique country. Although the days are quite long and challenging in places, there’s ample free time to enjoy the natural landscape that Slovenia has to offer. Free time can be spent exploring Lake Bled, Bovec, and Kranjska Gora. One day is set aside free from cycling altogether and will give you time to enjoy the Soča River, the opportunity to enjoy white-water rafting, kayaking and canyoning as well as lesser known tubing and hydrospeed (swimming down the rapids with high-buoyancy floats and flippers). The tour starts and ends in Bohinj, located 25 km from Lake Bled. The village is surrounded by 4 airports ( Ljubljana, Zagreb,Trieste and Klagenfurt ). We can arrange airport shuttles from all 4 airports. The minimum number of people required to run the trip varies between 4 and 8 per trip, depending on the tour. Every evening there will be briefing session to attend where guide will present next day tour profile (altitude profile, length, difficulty…). There will be many variations of each day tour. A gentle start to the week giving us a chance to warm-up our cycling legs and get our bikes up to shape. 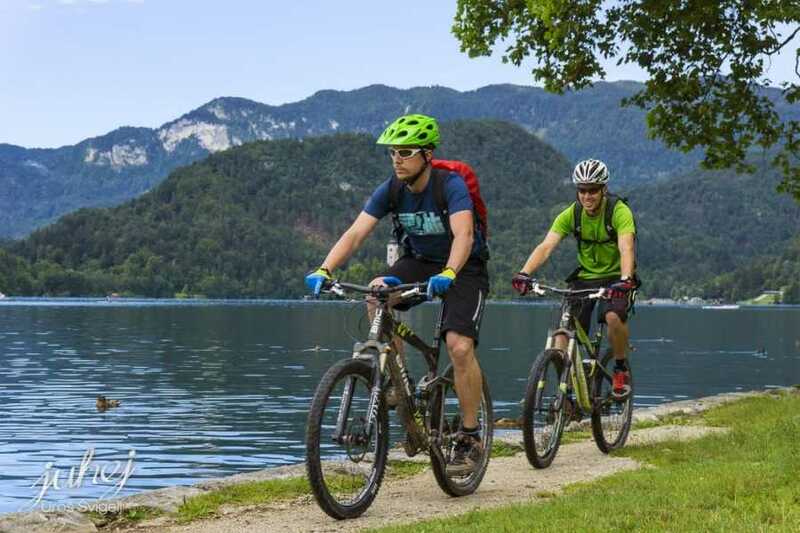 We’ll ride a circular route around the picturesque Lake Bohinj and then take a gravel road all the way to Bled, Slovenia’s best-known lake, famous for its island and pretty church. Depending on the group’s level, there may be the option to take the more challenging route across the Pokljuka plateau. On arrival to Bled go ahead and treat yourself to one of the regions famous cream cakes – you deserve it! 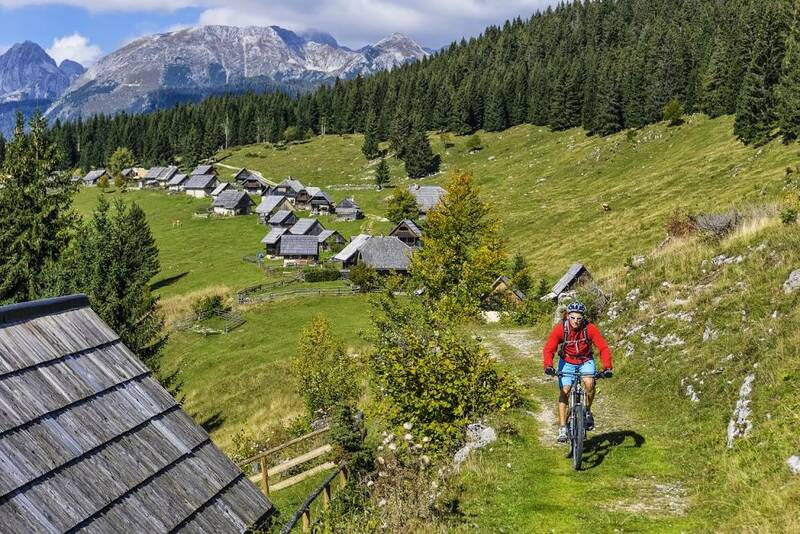 A rather easy cycling day through the beautiful landscape of the Gorenjska region following the green Sava Bohinjka River all the way to its source. The route will take us to the pretty alpine town of Kranjska Gora near the border with Austria and Italy – famous for its winter sports as host of the annual Alpine skiing World Cup. This is regarded as our most challenging day, both in terms of kilometers covered (60), climb and terrain, taking the Vrsic Pass at a height of 1611 m above sea level. However, there’ll be plenty of stops along the way to appreciate Lake Jasna, a Russian chapel dating back to the First World War, and stunning views of the Soča valley. 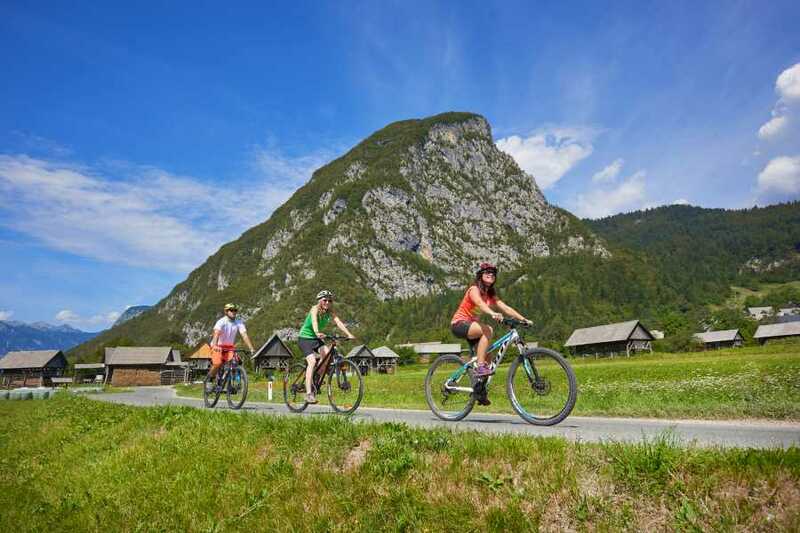 The end of the day consists of a downhill ride all the way to the town of Bovec. Eagerly, on the descent, we get our first glimpse of the brilliantly clear Soča River. Fully take advantage of this free day to explore Kobarid and the Soča River. For those wishing to cycle, our guide with share with you a selection of great route options. Alternatively, perhaps you’d like to take to the water – canoeing and rafting are available at an additional cost. Today we’re back in the saddle for another day of challenging cycling. First, a tough climb over Mount Stol (1100m), with plenty of stops. The ride down the other side of the mountain is an exhilarating decent along winding gravel roads all the way to the small town of Kobarid where we stay the night. En-route there’s the opportunity to take a dip in the Nadiza River, famous for its warm waters, pools, and gorges. If you want to preserve some energy for the days ahead, try an easier less demanding route that follows the Soča River and skips the Stol mountain. it’s time to discover by yourself the route from Tolmin to Cerkno and create your own impression – something you certainly won’t regret. It’s a great route that provides you with a view of the Soča River pedaling along the gravel path. You’ll be taken to remote places with unspoiled nature while the day ends on a high with a tasty dinner in Cerkno. As our journey comes to an end, there are two different routes on offer back to Bohinj. Either over the Soriška Plateau taking a concrete road or alternatively, going around the Plateau avoiding altitude gain but ready to face a more diverse terrain, and a mixture of gravel, forest, and single trail.